Personal Capital, sitting firmly in the fintech space, is both a technology company and registered investment advisor, with personalized solutions and services that are uniquely suited to the current age of financial complexity. There’s a lot for Americans to consider, not only in terms of piecing a financial life together, but also in planning effectively for the future: monthly bills, mortgages, assets, retirement savings. With easy-to-use technology, Personal Capital delivers a holistic, clear view of people’s finances that empowers them to make strategic decisions on their own or with the help of a financial advisor. In addition to selecting Personal Capital because of its transformational technology and talented people, Amadia joined the company because of how each of its core values resonated with her. The foundation of Personal Capital is built on five core values: being up-front, working hard to make things simple, making business personal, building on a legacy of trust, and teaming up to break down challenges. These values, embodied by current CEO Jay Shah, are ones Amadia has subscribed to in her work for decades—and to which she attributes much of her success as a legal executive. “It’s not just experience that makes us good at what we do; it’s the way we choose to work that truly matters,” she says. Amadia began her legal career as an associate in the business group at Morrison & Foerster, then spent more than a decade as in-house counsel for large technology companies, including HP, VeriFone, and Seagate. Amadia has also served as a general counsel to many privately held companies. She even founded and managed her own independent law firm for more than a decade and taught technology law at University of Santa Clara School of Law. While her career path has taken her in many different directions, she has never veered from her value system. 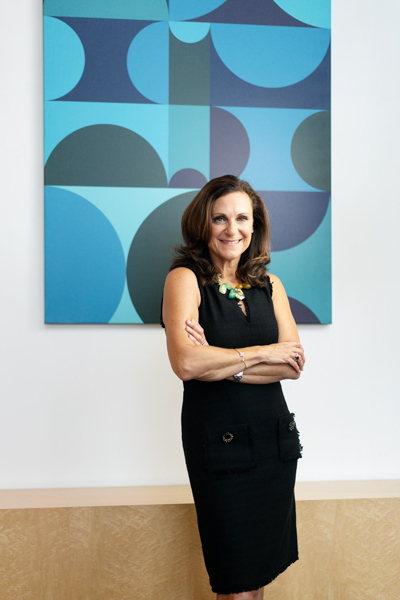 “I believe that outstanding executives, including outstanding lawyers, value integrity, transparency, hard work, ownership, trust, and collaboration,” she says. “They incorporate those values into their leadership and work product every day.” Amadia’s strengths earned her recognition as a finalist for Public Company General Counsel of the Year in 2015, from the Silicon Valley Business Journal and the San Francisco Business Times. Amadia is a particularly strong believer in cross-functional collaboration, which fits perfectly with Personal Capital’s emphasis on teaming up to solve problems. The company’s cross-functional teams collaborate on dozens of day-to-day initiatives, from driving core business metrics to strategizing about privacy and security. Given Amadia’s experience, talent, and commitment, it’s safe to assume Personal Capital will continue to be transformative for its customers as well as nurture a culture of success.